I wish that I could give the "ALL CLEAR" on this project but I can't. 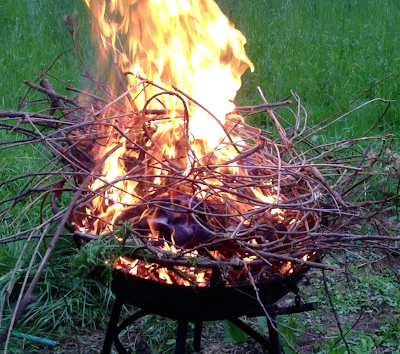 It took about 3-4 hours to burn about 1/4 of my burn pile before we had to stop because there was too much ash in the bowl. Now I continue to sit on my still massive burn pile with a very unpleasant taste in my mouth. It took only a few minutes for 1129 people to be crushed to dust at Rana Plaza but it will probably take more than 12 hours to burn through the pile. The event itself was awkward. 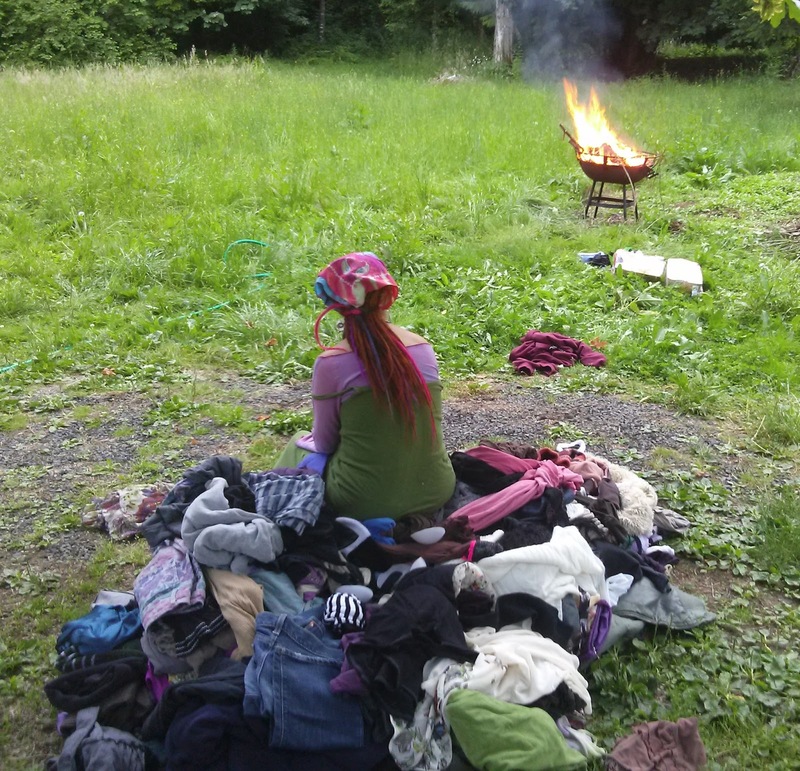 We were fortunate enough to convince some good friends of ours to allow us to burn the clothes on their property which is far off the grid. I felt self-conscious the entire time, as if what I was doing was the silliest thing anyone ever did. We shot some video of some of it and then I stood around waiting for the pile to burn down so I could throw another item on. I just wanted the entire thing to be over and yet it became apparent rather quickly, as the mosquitos had their way with us, that the end would not come that night. 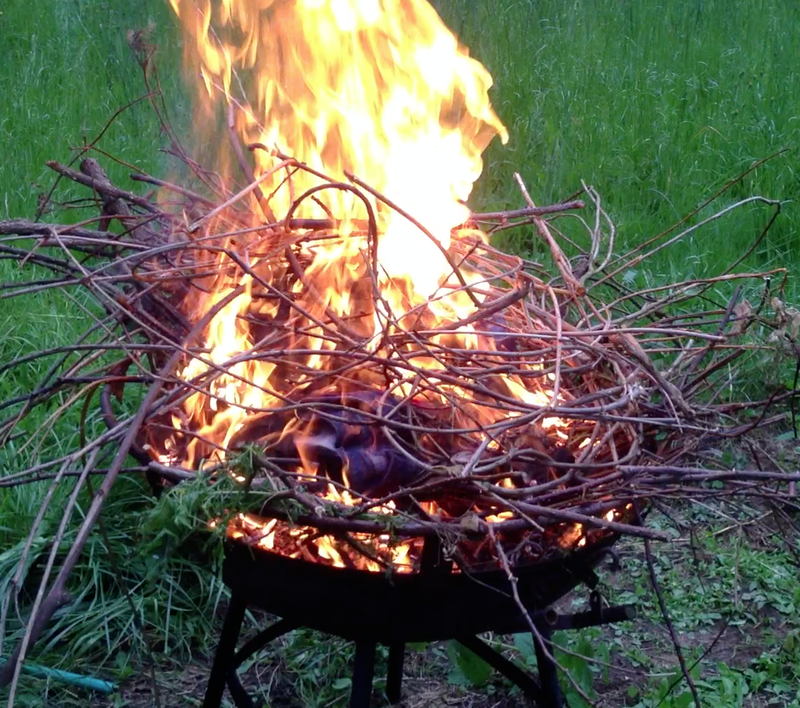 Finally, I could not ask my friends to pollute their air any longer with the chemical's coming off the pyre. 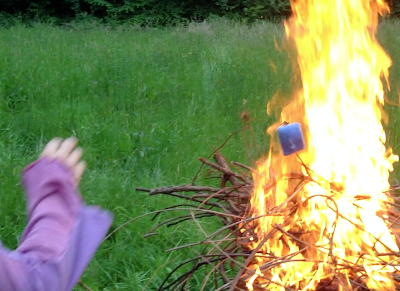 We packed up the rest of the unburned mass of cloth and put it back in the car. We then retreated inside, played a few tunes and crashed out in front of the TV. The new plan is to create our own fire-pit at our home and continue to make our way through the burn pile throughout the summer. We figure we can burn a small amount each week and hope to be through all of it by August 1st. I feel so strange about it all now. The remainder of my burn pile is sitting in laundry baskets in my garage. I am trying to stay focused on getting the last plans in place for my wedding in two weeks. I did finally make my wedding dress. It took me about 6 hours. In Bangladesh I might have earned $1.50 for it.